A fantastic game just arrived on the Nintendo Switch, and there’s a good chance you’ve never heard of it. 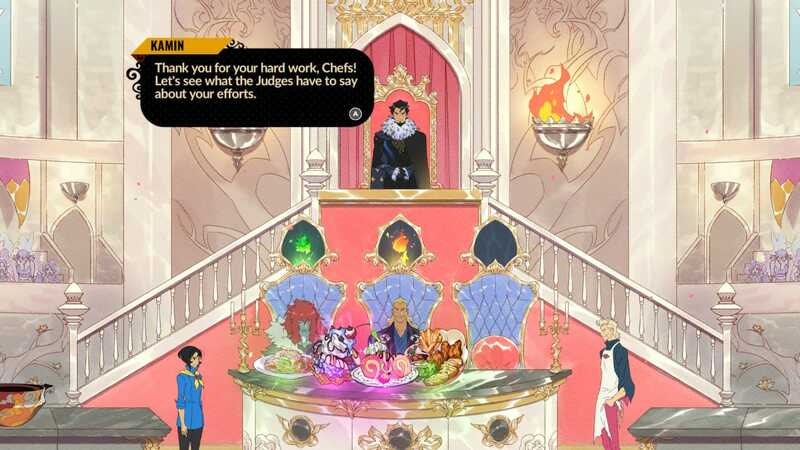 The game is “Battle Chef Brigade,” and it’s a true delight – charming, beautiful, and smart. Best of all, it’s like no other game that’s come out this year. Eastman Games/Adult SwimIt’s true! No gasping necessary, Mina! 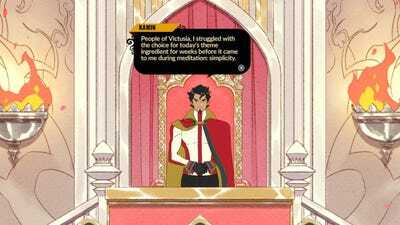 That’s great news if you’re playing “Battle Chef Brigade,” but it’s unfortunate if you’re in the position of persuading people to check it out (hi!). Explaining what it is takes some effort, but here’s my best attempt. You play as Mina, a fledgling cook from a small village who wants to join the ranks of the world’s most serious chefs: the Battle Chef Brigade! Eastman Games/Adult SwimMina’s above in blue, looking sad. Mina is upset. She’s stuck in a small town, working for her mother in her family’s restaurant. She feels trapped. 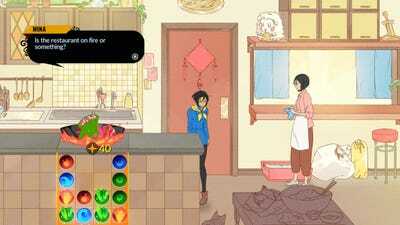 Eastman Games/Adult SwimHer mother is big on familial guilt and pressure. Not cool, Ms. Han! Just outside Mina’s kitchen is a backyard rife with creatures and plants waiting to be harvested and cooked. This section of the game is called the “hunt,” and it involves hacking and slashing through various types of enemies. 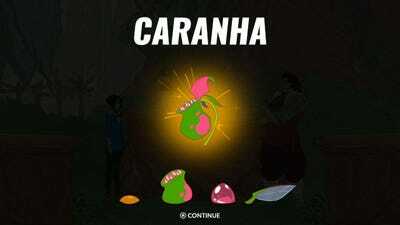 Upon killing one of these enemies, ingredients are left in its place. Notably, the creatures are <em>monsters</em>. 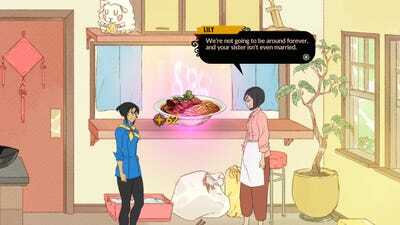 From the caranha you see above (a plant that wants to bite you) to straight-up dragons, you’re never hunting for animals in “Battle Chef Brigade.” Instead, you’re killing monsters and then cooking up their remains. It’s kinda dark. 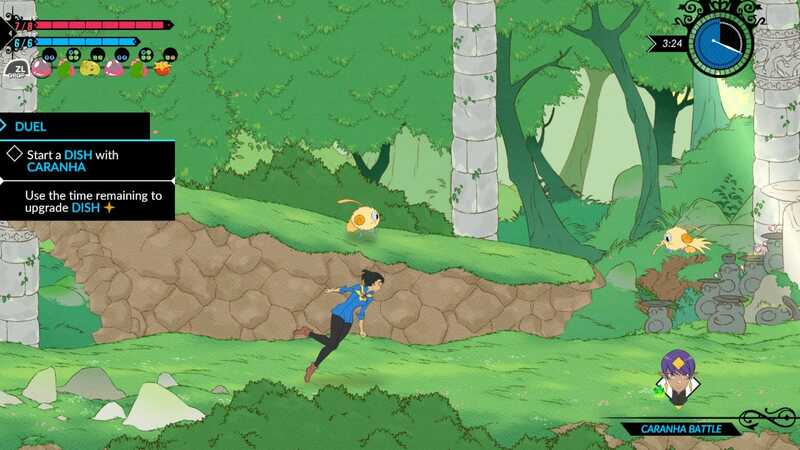 Hunting in “Battle Chef Brigade” is a ton of fun and surprisingly deep. Mina has a wide variety of fighting moves, as well as a handful of magical spells, that make hunting for ingredients (beating up stuff) lots of fun. 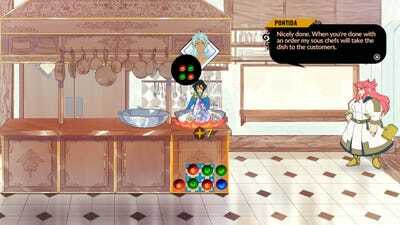 You can juggle enemies in midair, freeze them in place while you pummel them, and a mess of other stuff. Considering that it’s not the focus of the game, the hunting section is impressively deep. For instance: Since Mina can hold only so many ingredients before returning to the kitchen to deposit supplies in her pantry, you’re forced to prioritise hunting ingredients for the meal you’re making. And what do you do with those ingredients? You cook them, of course! 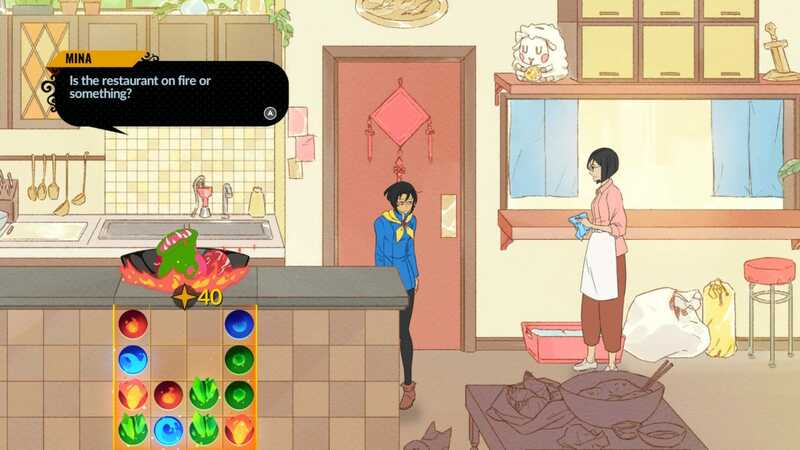 Cooking in “Battle Chef Brigade” is handled by a match-three mini-game. If you’ve ever played “Bejeweled” or even “Candy Crush,” you’re already familiar with this type of gameplay – you literally match three gems of the same colour. 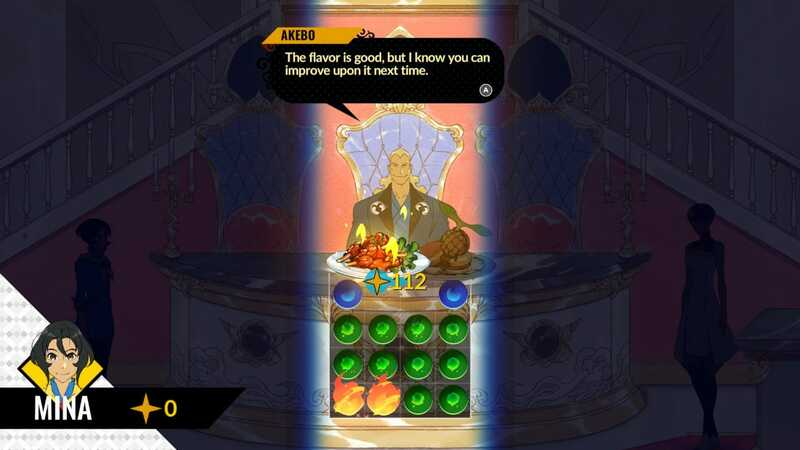 In “Battle Chef Brigade,” matching three means creating a “level two” version of that ingredient. Put together three of those level-two ingredients, and you’ll get a level three. The higher the level of your ingredients, the more points the dish is worth – and you’re judged on points, primarily. That’s the foundation of cooking in “Battle Chef Brigade,” but it gets much more complex as you play. Some dishes require the use of specific ingredients. Some dishes require a focus on certain types of ingredients (each colour corresponds to a different type of ingredient: Earth is green, fire is red, and water is blue). Moreover, the way you arrange the ingredients in the grid makes a difference in its final judgment. Laying a row of fire-based ingredients along the top of the grid acts as a sauce, for instance. Or maybe the judge wants a foundation of water-based ingredients of a high level? Make sure to line the bottom row with level-three blue ingredients. If you’ve ever watched “Iron Chef,” this stuff is pretty familiar. 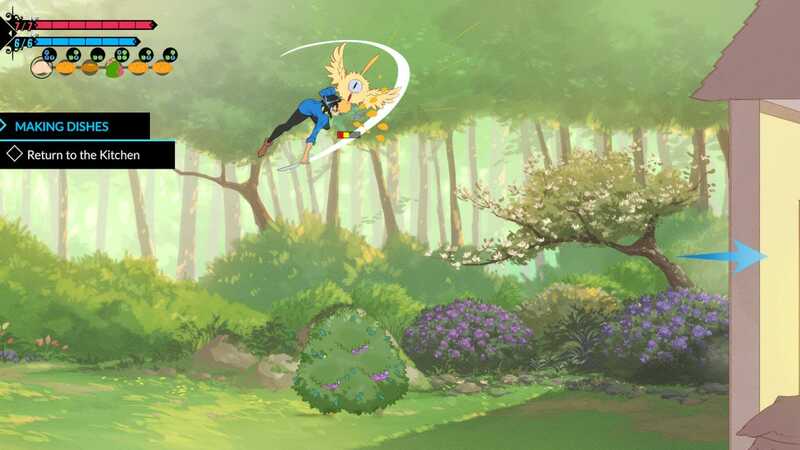 Like the classic cooking-competition TV show “Iron Chef,” each official battle in “Battle Chef Brigade” starts with the cooks running as far as possible to gather ingredients. On the show, it was about gathering ingredients rather than hunting them, but the principle is the same: Go out and grab what you need to start cooking as soon as possible. The battles are timed, of course, thus exerting a subtle level of constant pressure. And yes, a featured ingredient must be incorporated to please the judges. Eastman Games/Adult SwimIn the case of this battle, the featured ingredient was ‘Baurun’ (a type of monster that looks like a bull, kinda). Beyond the featured ingredient, judges offer other hints as to what they want. It’s possible that one of several judges will subtly ask for a dish that requires not only the theme ingredient but also other specific touches. Maybe the judge wants the dish to be “simple,” meaning level-one ingredients. To this end, it’s crucial that you pay attention to what the judges say before each round. The good news is that paying attention to what anyone says in “Battle Chef Brigade” is always worth your time: The writing is <em>excellent</em>. 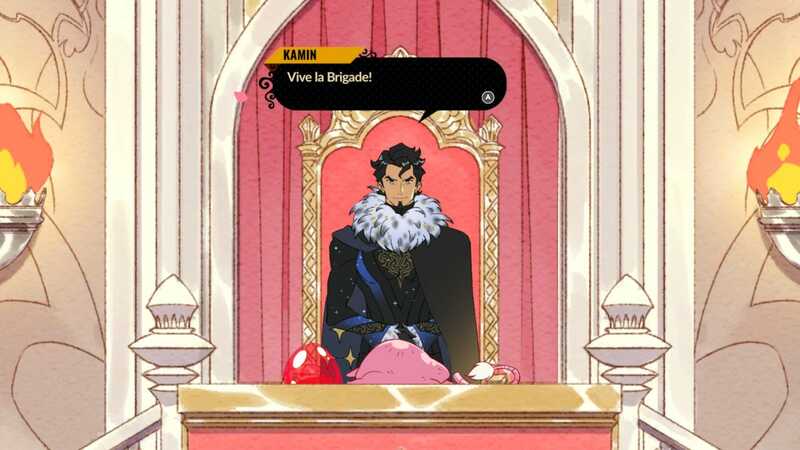 I’ve laughed aloud at “Battle Chef Brigade” many times while playing it. Not because of a mistake or something silly but because it’s a genuinely funny and charming game full of funny and charming characters. 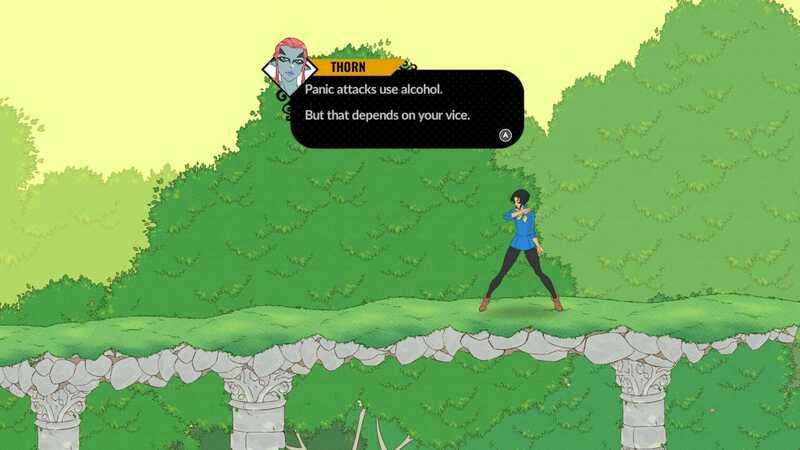 During the training session above, for instance, while being taught about different types of “attacks,” Mina’s hilariously dark teacher suggests how to handle “panic” attacks. It’s little asides like this that give the game’s bizarre cast of characters an impressively realistic feel. 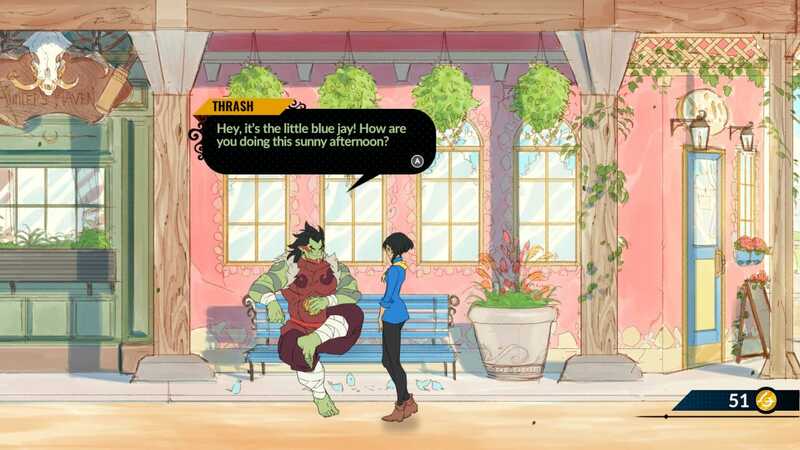 Mina’s buddy Thrash here casually starts referring to Mina as “Blue Jay,” for instance – a nice little touch that makes him a far more endearing character. “Battle Chef Brigade” may sound like a bizarre mash-up of disparate parts, but the sum of those parts is one of the best game experiences I’ve had this year. 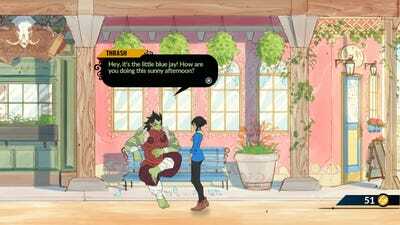 I knew next to nothing about “Battle Chef Brigade” before it came out on November 20 on Nintendo’s Switch and PC. As such, it was an impressive surprise when I started playing on Saturday and, 10 hours later, my wife and I were still playing it. To that end, I should note that it’s a great game to play with friends/family/etc. who don’t normally play a ton of games. 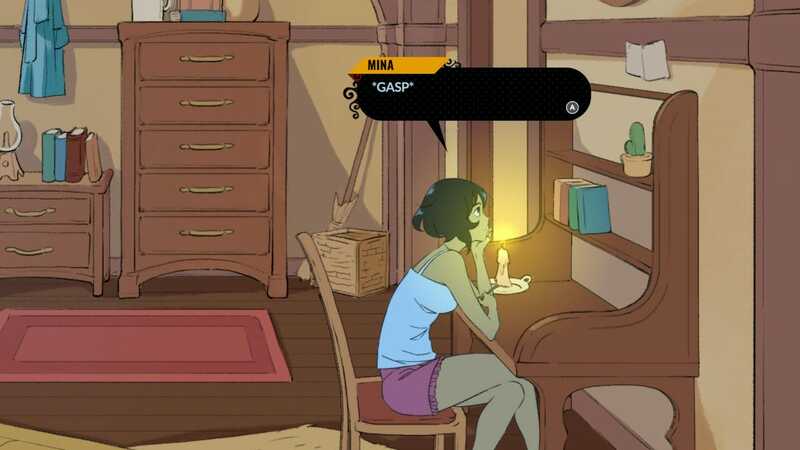 The story is endearing, as is the art style, and the gameplay is familiar to most folks – who among us hasn’t played a match-three game before? 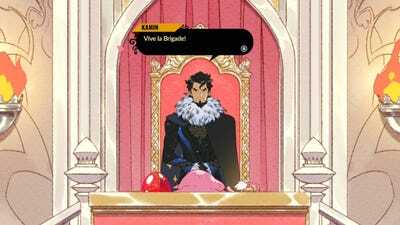 What “Battle Chef Brigade” does with those simple elements is no less masterful than a great chef transforming a few simple ingredients into a world-class dish.